Veteran wildland firefighter Jerry Mathes II takes readers into the heart of wildfires from the forests of Idaho to the deserts of the Mexican border and reveals the camaraderie of men and women bonded by the terror and beauty and hardship of life on the fireline. He makes us live through thunderstorms scattering lightning and hail, endure the high summer heat and shivering nights where bears prowl through wilderness spike camps, and the quiet days of reflection waiting for what may come next. With a poets lyricism he tells of the life and death of friends, negotiating the bureaucracy of the federal fire service, the rivalry of competing agencies, and carrying the weight of absence from his daughters as they grow and the desperate feeling he is failing even as he seems to be succeeding. 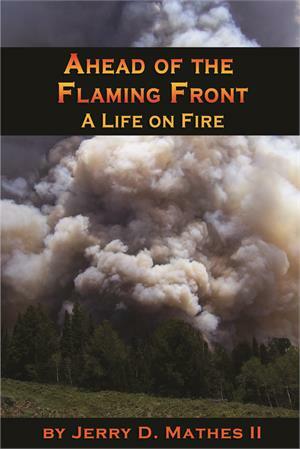 Readers live alongside him as he grows from a stunned rookie trembling under flames arcing hundreds of feet into the air to a seasoned member of the training cadre, bringing full circle his life on fire by fusing hard won field experience with the classroom to give his students the tools to work and survive in the chaotic fire world so that they can slay the dragon and the dragon does not slay them. WINNER OF 2015 North American Book Award for Biography/Memoir.